Register to Walk for ECE! We’re sending you a quick remind for next week’s events — including a new event announcement: Information & Resource Conference 2019 — register by Monday to secure interpretation, registration closes Wednesday — presented by Support for Families and community partners. 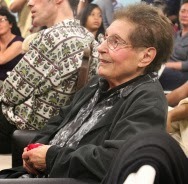 Please also see the invitation to celebrate the life of Nina Mogar at City College SF, Saturday, April 27. Looking forward to seeing you at community events next week! 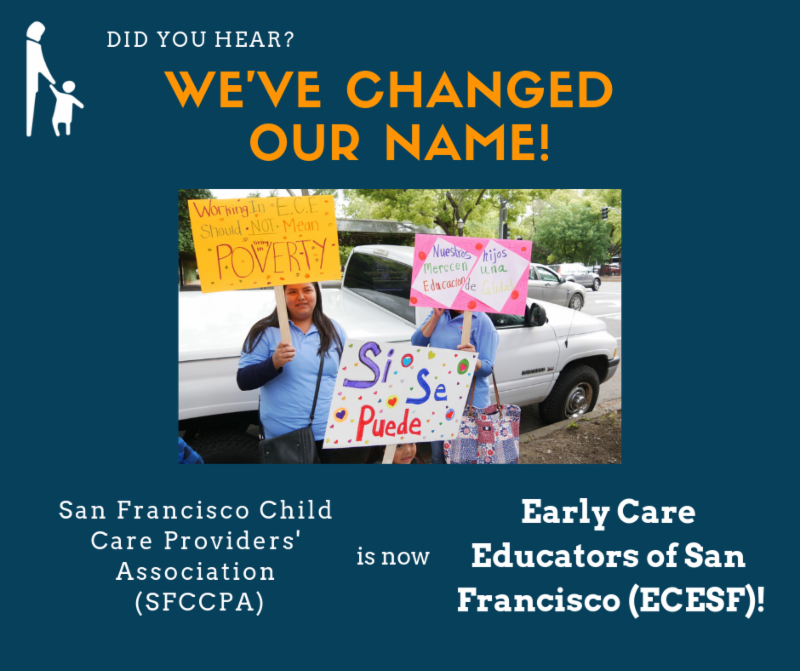 Come together to let our California elected leaders know how important Early Care & Education is for our San Francisco community. Children and families need quality ECE — and ECE quality and availability depends on educators. San Francisco alone can't cover the cost of Early Care & Education for San Francisco's children & families. 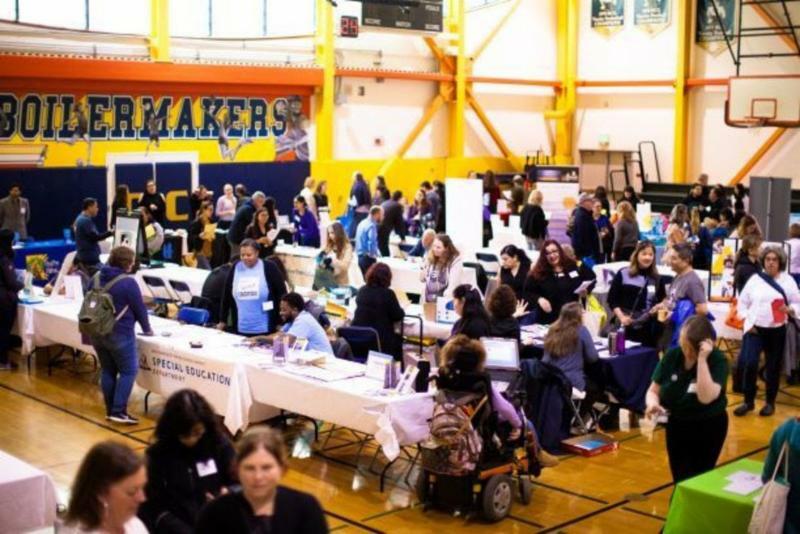 Let Senator Wiener and Assemblymember Ting know you support increased funding for pay parity with TK-12 to retain and attract early care educators, and expanded services for San Francisco's children and families. Meet at the State Building and Walk Around the Block for ECE. Want to come but the State Building is just a little too far? We have funding to help you with transportation. Email Sara, sara@ecesf.org. Register to Walk at the State Building! Register an action in your neighborhood! Share Chinese , English, and Spanish flyers with your community! 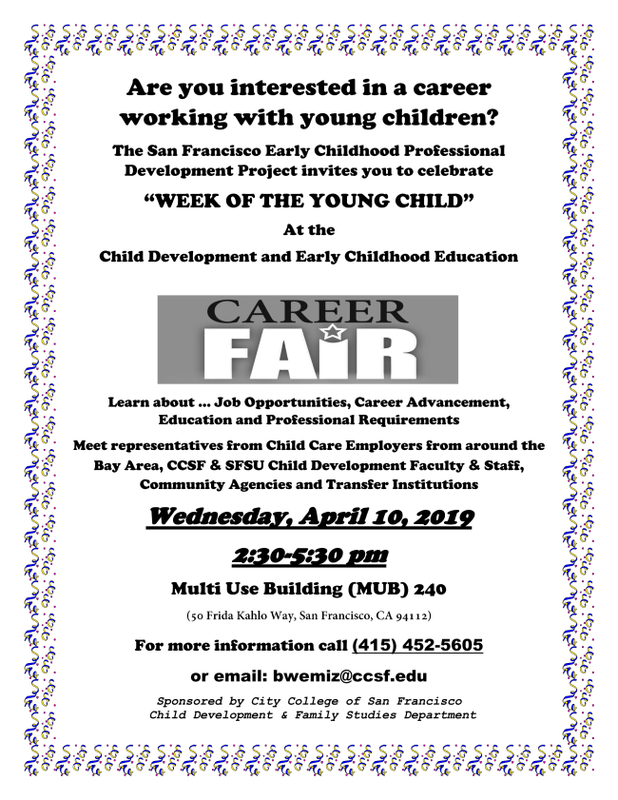 See our ECESF Events page for more details. Did you receive you invitation? If RSVP as soon as possible as space if filling up! Regístrese antes del lunes 8 de abril para asegurar la interpretación de su taller. La inscripción cierra el miércoles 10 de abril. Call 415-920-5040 to register or click here . Celebration of Life for Nina Mogar, City College's beloved CDEV instructor who passed away on 11/4/18, a month before her 90th birthday. The JCCSF is looking for a Site Director of their Brotherhood Way Preschool program. Located on The Brandeis School campus in the Lake Merced neighborhood, Brotherhood Way Preschool features an art studio and large outdoor playground, spacious classrooms in a woodland setting, community garden creatively designed for exploration and natural discovery, teaching specialists on staff for art, music, and movement. The Preschool Site Director will manage and direct the preschool site in accordance with our vision for excellence in early childhood education. Recruit and enroll families and children in order to maintain full enrollment and achieve our financial goals. Hire excellent staff and ensure professional development. Manage the day-to-day operation of the preschool program, enrichment program, summer program, family activities and parent education programs, where applicable. The program is inspired by the philosophy of Reggio-Emilio and threads in Jewish values and culture into the daily life of the program. For more information and to apply go to this link .